‘An interdisciplinary, transhistorical, global project covering women and Islamic cultures’ – this is how Suad Joseph, Professor of Anthropology and Women and Gender Studies at the University of California, Davis and Director of the Middle East/South Asia Studies Program, describes her ambitious project. The author of several books, Prof. Joseph – a native of Lebanon – is General Editor of the Encyclopedia of Women and Islamic Cultures (EWIC). The complete work should comprise six volumes. Three have already been published by Brill. Each volume has between 600 and 700 pages. Among the editors, one finds most of the experts in related fields, and no less than 1,000 scholars around the world have contributed. However, the work remains extremely readable: undergraduate students should have no difficulty in using it. When it comes to the subject of Islam in the West, questions about women invariably arise. We should welcome the availability of a reference work allowing people who want to know more to gain a deeper understanding of such key issues. In order to find out more about the project and related issues, Religioscope interviewed Prof. Joseph. In addition to the Encyclopedia itself and related issues, Prof. Joseph informed us about the database of experts on women and Islamic cultures currently being developed. Scholars working in related fields are invited to join and fill the template. Religioscope – You were born in Lebanon, and most of your scholarly work has focused on that country. Would you say that the EWIC project was born out of your personal history and field research experiences in Lebanon? Or did it rather derive from questions on Islam and women that you encountered in the West? Suad Joseph – I would like to take credit for it, but the idea for the Encyclopedia of Women and Islamic Cultures came from the publisher, Brill, not me. Peri Bearman, a former editor for Brill, approached me in 1994 about the project. Unfortunately, she left Brill well before EWIC was fully formulated. EWIC took on a life of its own, almost the way a story writes itself. When I agreed to become the General Editor in 1995, I had not imagined the intensity of the work it would entail nor the form that EWIC would take – you can say, EWIC was not yet EWIC. My approach was to build the best editorial team that I could and to be open to continually reinventing the project as it materialized itself. No doubt my personal history and field research experiences in Lebanon, as well as questions about women and Islam that arise in the West, informed the project in critical ways. But perhaps as critical to the project was the dynamic interchange among the Editorial Board members, myself, and Brill. On the Editorial Board we had four anthropologists, an historian, a political scientist and literary scholar, and a religious studies scholar – coming from the Middle East, South East Asia and the United States. Board members had diverse graduate and pre-graduate training and came from quite different theoretical traditions. We shared a commitment to feminism, but we did not share a common vision of feminism. Each of the Editorial Board members came to the project with different national, ethnic and religious experiences and each came with different scholarly training relative to Islam and to women in relation to Islamic cultures. EWIC is the continually-in-process child of these multiple intersections and the collective commitment to collaborative, interdisciplinary, cross-cultural engagements. We shared a concern about the misinformation and misunderstanding about women and Islamic cultures globally, but particularly in the West. But EWIC’s goal never was simply to ‘correct’ misperceptions. It was to complicate, contextualize and historicize the diverse and complex realities of women in relation to Islamic cultures in order to challenge those in the field and those coming to the field to rethink categories, concepts and theories. The EWIC project was to collectively advance scholarship and stimulate new approaches to understanding women and Islamic cultures. EWIC was never intended to be the last word on women and Islamic cultures. It was meant to be an international platform on which we could assemble, compare, reformulate and innovate. In that sense, EWIC owes much to the global landscape of scholarly exchange, which is remapping much of what constitutes theories and knowledges. Religioscope – When it comes to Islam and Western scholarship, not a few Muslims are suspicious of an ideological agenda and point to the ambiguities of Orientalism. You are the editor of EWIC; you were also the founder and first president of the Association for Middle East Women’s Studies (AMEWS). Let’s ask you the question plainly: is there an agenda in EWIC? Beyond increasing our knowledge, are there other goals the editors would like to achieve? Do you see scholars also as agents of change? Suad Joseph – EWIC is too diverse and multifaceted to have any specific agenda. We have six editors with very different perspectives, a publisher with its own business plan, and a thousand authors from all disciplines, all topical specializations and from all over the world – most of whom most of the Editorial Board does not even know. The Editorial Board was barely able to succeed in having our authors follow our writing guidelines, much less commandeer their thinking. Scholars and scholarships are products of their times and locations, even while their work may transform temporal sensibilities and locational positionalities. For example, EWIC, at least in its current form, would not have been a likely scholarly project of the 1950s or even the 1970s. Yet in some sense, all scholars are agents of change. To the degree that new knowledges and new approaches offered by scholars provoke their students or publics to think differently, then we have had an impact. While it would be too glib to try to find a direct, linear connection between scholarship and social change, it might be fair to say that most scholars would like to think of themselves as offering new or better ways of thinking and understanding. If EWIC succeeds in offering a platform for producing new and better ways of thinking about and understanding women in relation to Islamic cultures, the consequences could ramify beyond scholarship into many fields of social action and social relations. This would be productive, one would think. In this sense, you are right that EWIC has a large international vision of linkages and exchanges. Towards that end, for example, I have raised funds from the Ford Foundation and the Swedish Institute of Alexandria to translate Volume I of EWIC into Arabic to be published online for free public access. The translation is being done as we speak by the Women and Memory Forum in Cairo and will be published by June/July on http://sjoseph.ucdavis.edu/ewic. Religioscope – While people in the West quite often tend to speak about ‘Islam’ as if it were a monolith, the title of your book reminds us that there are various ‘Islamic cultures’. Editors have taken care to constantly put Islamic practices in context. For instance, when dealing with marriage practices, you have separate entries for Arab states, Canada, Central Asia, East Africa, the Ottoman Empire, South Asia, Turkey and the United States. Across cultures, however, does a shared Islamic reference create some common experiences for women? Are some questions and challenges intrinsically related to Islam? Suad Joseph – Your question is precisely why the Editorial Board and the authors have been so motivated to produce EWIC. There are some who might answer your question affirmatively with a sense of commitment to the answer. Perhaps those of faith would have a clear answer to this question and I respect the commitment to that understanding of faith. However, Islam is not only about faith. It is also about complex and global civilizational histories that vary considerably across time and place. The original Brill editor had proposed to me the title of ‘Women in Islam’ for this project. I declined that title because it implied an essentialization of Islam that needed to be problematized. The Editorial Board deliberated collectively about the title over a number of meetings. 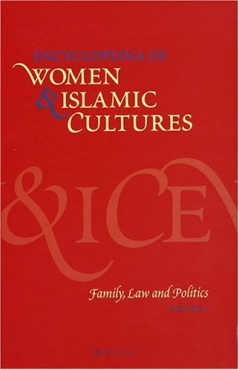 What drew us to the title EWIC was the emphasis on the idea of examining the relationship between women and cultures, in this case Islamic cultures. The emphasis is on the civilizational histories and not on an essentialized depiction of ‘Islam’. By carrying out a global, crosscultural, and comparative project, the first ever of this international and interdisciplinary scale and scope, the Editors are attempting to help produce a matrix of data, theory and knowledges that are situated and contextualized, representing the plethora of voices that we could access. As we provide these materials, it then becomes more and more possible to scientifically and empirically do the meticulous work that is required to explore the arenas and sites in which, at civilizational levels, continuities and discontinuities can be examined. This is the hard work that EWIC begins to make possible. Religioscope – Women’s Studies, Gender Studies – these have become popular in the West, but what is the situation in Muslim countries? Are there some countries where women’s studies are growing fast? Could you also tell us what percentage of your contributors themselves live in predominantly Muslim countries? Suad Joseph – Women and Gender Studies is a global scholarly movement that no longer has moorings in any one nation or paradigm. There are an array of discursive traditions in Muslim countries that constitute themselves as Women’s Studies, and they are fast growing. Some countries stand out for their production of Women’s Studies research centers, journals, [and] social and political action organizations (some for over a century) such as Egypt, Lebanon, Turkey, Iran, Pakistan, India, Malaysia and Indonesia. However, Women’s Studies, as a recognized field of study, is found in all Muslim countries. We tried, for one of our funders, to identify how many of our authors are from Muslim majority societies. We found it was a difficult question to answer. Scholars are mobile. Where they live may have little to do with their origins, identities, histories, loyalties or paradigmatic approaches. I would say, the majority of EWIC authors are ‘from’ Muslim countries, but that does not mean that they are living in the countries they are ‘from’. For that matter, given our globalized migratory world, many authors might even have a hard time identifying a single place they are ‘from’. That, too, is what makes EWIC such an exciting, cutting edge project. Religioscope – How far has the project of an online translation of EWIC in Arabic progressed? Suad Joseph – Brill plans to start putting the print edition of EWIC online in 2006. It will be available by subscription. However, the online edition will have a new Editorial Board and will produce a whole new series of articles. We are comprising the new Editorial Board as we speak. Part of the online edition’s job will be to fill in scholarship that we were not able to access or to access in time for the print edition. But the online edition of EWIC will have many other goals. We will be able to assemble all the articles from all volumes of EWIC that cover women in Iran, for example, and collect them into a separate volume. We might try to raise funds to collect topical volumes and translate them into regional languages to make EWIC more accessible to wider audiences. We hope to innovate new approaches in the online edition – dialogues, comparative work and so forth that is easier to facilitate online than in print. Religioscope – The sixth and final volume of EWIC should be completed in 2007, but this does not mean the conclusion of the EWIC project. You are considering the possibility of making EWIC an online, ongoing project. The Internet is also a way of networking: you have received a grant from the International Development Research Center to build upon EWIC’s existing database and create the Encyclopedia of Women and Islamic Cultures (EWIC) Scholars Database for publication as an online resource for free public access. It already lists over 3,800 scholars around the world. Suad Joseph – To solicit articles for EWIC, I developed a potential author database and soon we found ourselves with a database of 3,800 specialists in all fields and topics from all over the world. It must be the largest database of experts on women and Islamic cultures. I obtained a grant from the International Development Research Center (Ottowa) to expand, update and obtain permission from these specialists to publish their templates online for free public access. This database, which includes scholars, artists, activists, professionals and writers of all sorts, will help scholars, graduate students, publishers, journalists, non-governmental organizations and government agencies to find the experts they need for their projects. The database will be published this June on http://sjoseph.ucdavis.edu/ewic. We would like to encourage your members and readers, including graduate students, if they work on any topic covering women and Islamic cultures, to fill out the scholars template so that they can participate in this amazing international network of scholars. The searchable database will continually be updated.